Just thought (since I’ve posted nothing all week) that I’d post this useful training zone chart to follow-up the metabolic energy storage and use stuff that I posted last week. 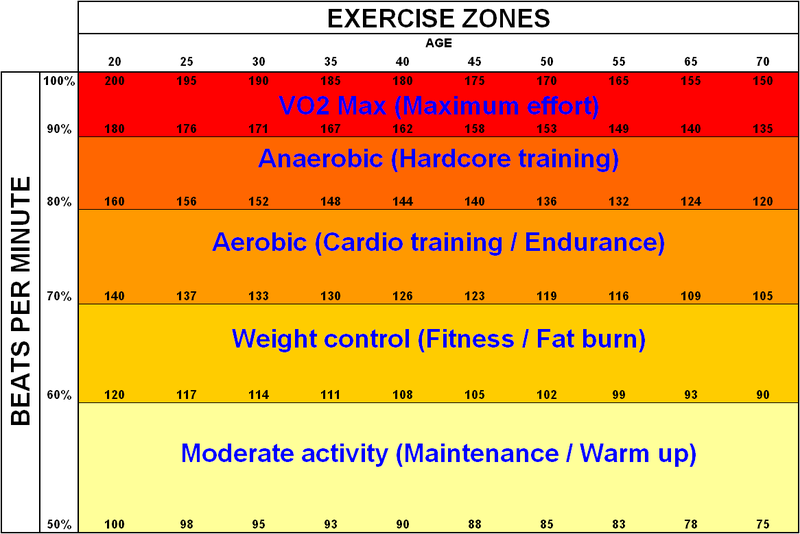 Cross reference your age, to the level of exercise you wish to do (endurance for many of us, with some threshold and maximum effort also). These Zones are also often called Cat(egory) 1 (warm up) to Cat 5. So for swimming, you can just check your pulse over 10 secs to determine what rate you’re at.